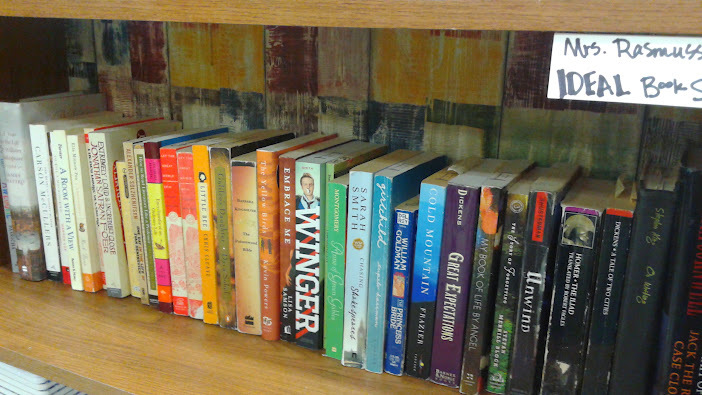 AT UNH Literacy Institute 2014, Penny Kittle gave us a handout so we could create a depiction of our Ideal Bookshelf. The idea comes from a lovely book that features articles where “100 cultural figures” describe the books they read and love. Here’s a sampling from Brainpickings: My Ideal Bookshelf: Famous Artists and Writers Select Their All Time Favorite Books. I keep an Ideal Bookshelf in my room. This is a place for my favorite, books. They touched me, molded my thinking, changed me in some way. I talk about these books often, and many of my students read them. We share what we like and what we don’t. I encourage them to craft their own shelf of favorites. From Awesome to Shakespeare to Girlchild and Great Expectations to On Writing and Portrait of a Killer by Patricia Cornwall — this is my personal canon, my Ideal Bookshelf. What do you keep on your Ideal Bookshelf? Please leave your favorite titles in the comments. They might just fill the next shelf in my classroom library. Putting this one on my list for next year–I’m starting my “ideal” shelf as well! Writing this down in my WNB. Great idea Amy! I love your library. Bird by Bird Anne Lamott and Comprehension Through Conversation by Maria Nichols would be on my shelf. Oh wow do I love this idea. I could write a very large list but if I could choose three novels to put on my ideal book shelf at this point in time, they would be: Okay for Now by Gary D. Schmidt, Each Little Bird that Sings by Deborah Wiles and Twerp by Mark Goldblatt. 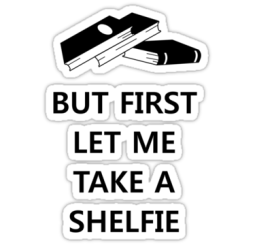 My shelf would also contain picture books. Three favourites Pete & Pickles by Berkeley Breathed, The Man with the Violin by Kathy Stinson and Hunwick’s Egg by Mem Fox. But ask me tomorrow and this list might look very different!